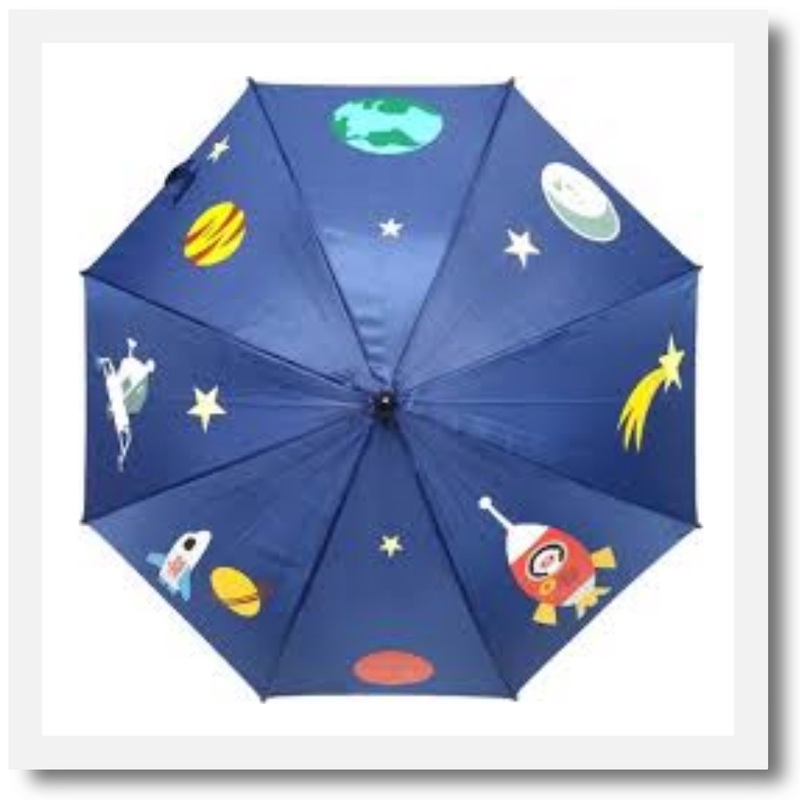 The Vilac Cosmonaut umbrella is perfect for tiny hands. Children will love the hand-crafted astronaut handle and colourful space decorations. 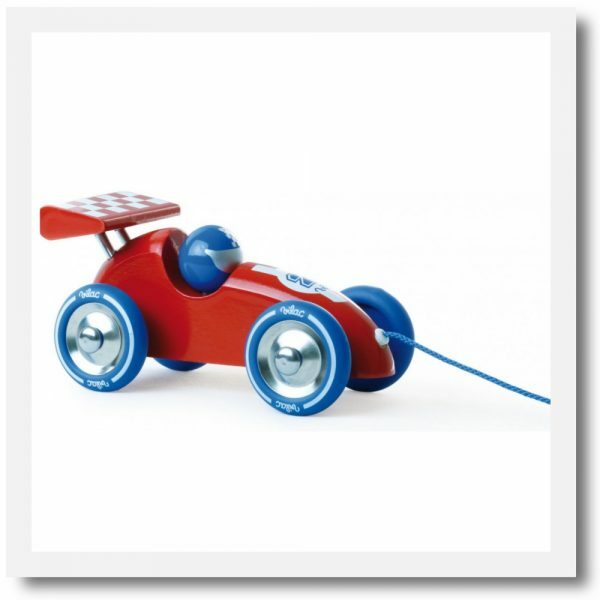 Beautifully designed by Ingela P. Arrhenius for French toymakers Vilac. 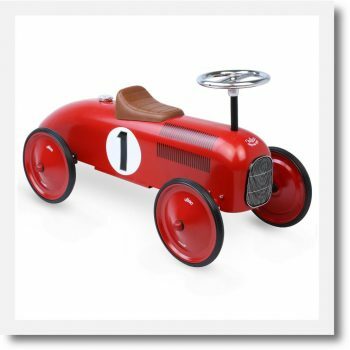 Vilac have been producing traditional wooden toys in the Jura Mountains in France since 1911. 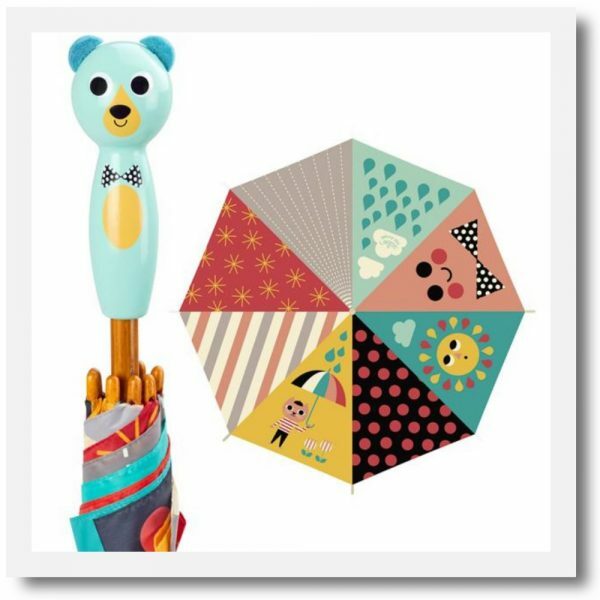 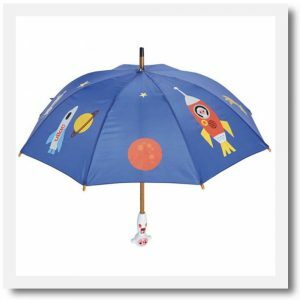 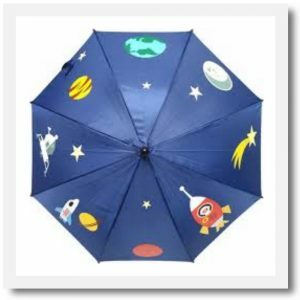 Your little ones will be eager for rain with this gorgeous childrens brolly! 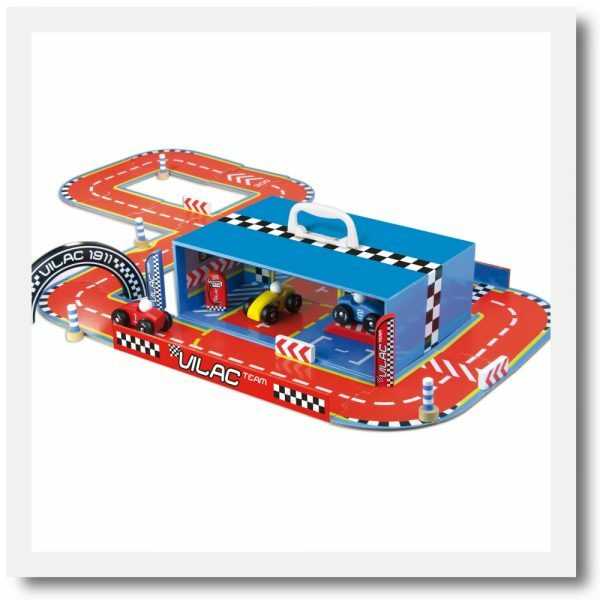 We also have a wide range of Vilac , children’s toys and wooden toys to inspire and delight!